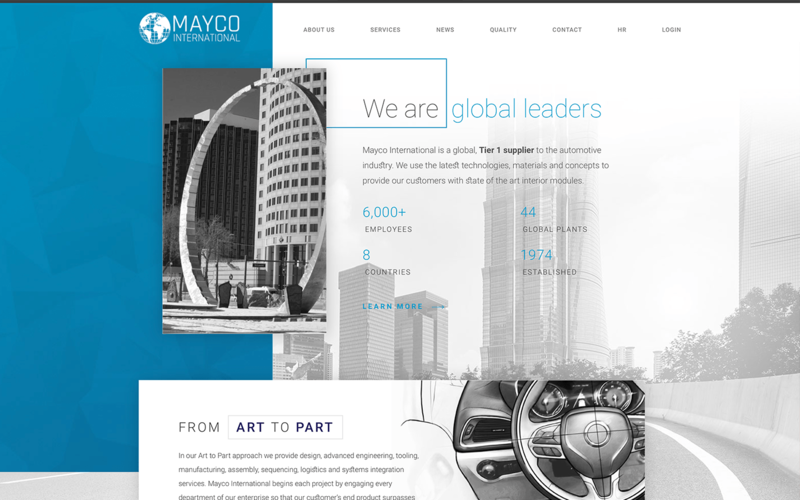 Mayco International (maycointernational.com), Mayco International is a global, Tier 1 supplier to the automotive industry. Mayco specializes in the design, engineering, manufacturing, and distribution of automotive parts for OEMs which is what they call From Art to Part. 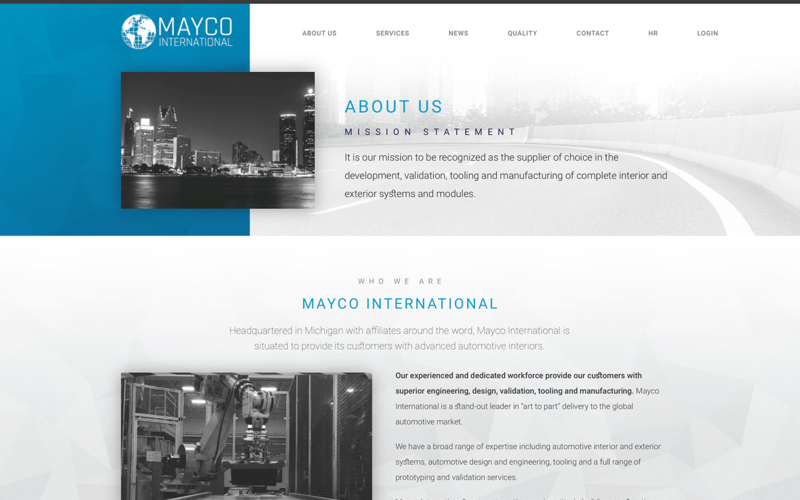 Mayco approached us to completely revitalize their web presence to go along with their overall brand refresh that was underway. 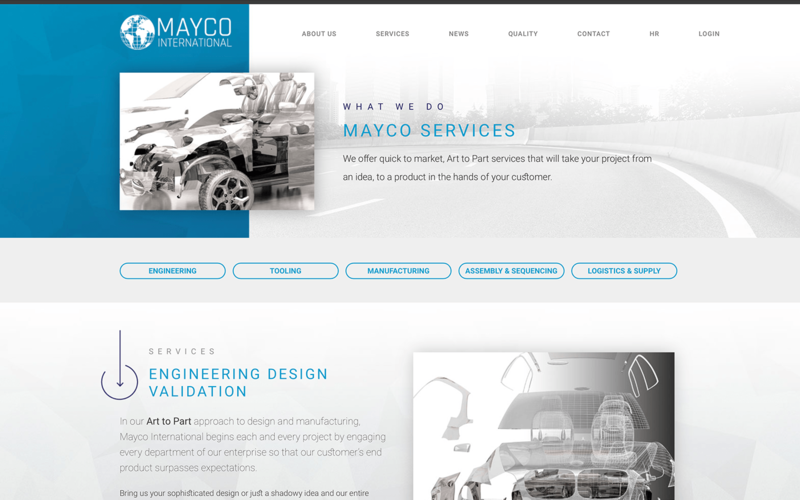 In an effort to showcase Mayco as a global automotive manufacturer, they were in need of a sleek, modern, and responsive website. This was accomplished by incorporating a long-scroll style for the homepage that tells the story of From Art to Part. The long-scroll style carries into the internal pages, acting as a visual roadmap of who they are, what they do, and how they do it. Clear, concise navigation takes the user through the site in a way that is straightforward and on message. We worked tightly with Mayco to bring forward strong new imagery and revised content that transformed their website and image. Built on a solid foundation of Search Engine Optimization (SEO) principles, the site’s content is organized efficiently optimized for all major search engines. 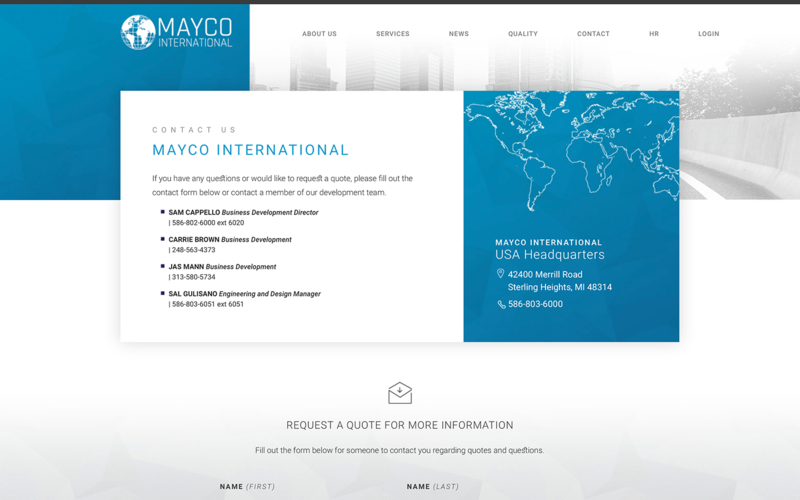 Mayco International/Venture Global, headquartered in Sterling Heights, Michigan, is a multi-billion dollar, Tier 1 supplier with more than 6,000 employees in 47 plants across the USA, China, India, Russia, South Africa, South Korea and Australia.